Jay Reilly is more than a world-class photographer. 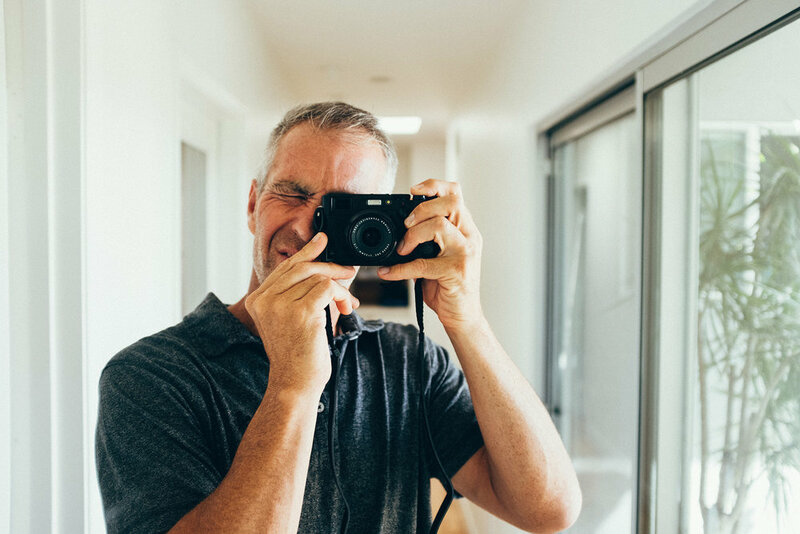 He’s also a loving family man who keeps busy juggling an active lifestyle with his three boys and two dogs - with his trusted camera equipment always within reach. Yes, this avid surfer, athlete, musician, and all-around good guy, also happens to have a knack for capturing a range of emotions through the eye of a camera lens. He has what it takes to create authentic imagery that supports, communicates and propels the brand or organization into the future and toward their desired goals. But, it’s more than his keen eye for capturing images that sets him apart from the rest. His photos evoke emotions. From capturing the thrill of an Olympic athlete in intense training mode to a group of women laughing and enjoying ladies night – Jay has a knack for being at the right place, at the right time. Clients love him. What's not to love? After all, Jay's always keeping an open line of communication, making his subjects feel comfortable and at ease so that he can shoot the images that can make you smile, cry, or laugh. He’s got the experience, too. Once an in-house creative for a major corporation, Jay knows what it takes to get things done on time and within budget. His affable nature has garnered him praise from a wide range of clients – from personal shoots to working with high-profile clients such as Acura, HP, LG, Domaine Chandon, Nike, and many more. He’s not afraid to get dirty and face the challenges of the shoot, whether he’s smack dab in the middle of a sweaty dance floor with flailing elbows to bracing the intense Death Valley heat for a sports car commercial. You could say that blood, sweat, and tears go into every shoot - he's even got the scars to prove it. Jay Reilly shoots with confidence. He’s a Director of Photography that can handle the demands of any high-pressure production, whether he’s on set working on a still photography production or using his expert cine camera skills. Jay Reilly is based in Los Angeles/Paris. When he’s not working, he’s adventuring with his wife and kids, and when he can, rests a bit with his family in Carlsbad, CA. He is available for both regional, national, and worldwide productions.